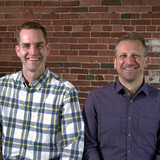 With over 30 years experience, owners Bruce Schulbaum and John W. Mills III are qualified to give you expert advice. Venture has received numerous industry awards for excellence. Entry Doors $1,295 to $5,000. Patio Doors $1,800 to $2,300. Basement Windows $299 to $399. Wood Windows $599 to $899. Vinyl Replacement Windows $359 to $599. Aluminum Commercial Windows $499 to $2,500. Our average job consists of 12 energy efficient vinyl replacement windows and a patio door. All this for only $6,500. Our own installers can complete this in a single day. 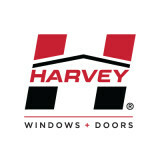 The windows come with a lifetime warranty from the manufacturer and a 5 year warranty on labor from Venture. Venture employees are factory trained, seasoned craftsman who take great pride in their work. Unlike our competitors, our crews are paid hourly (not piece rate) to ensure a thorough, high quality installation. We always leave your home better than we found it! With our 25,000 square foot Rhode Island showroom and warehouse we will have windows or doors in stock that will match your home's style. We invite you to come in and see our selection for yourselves. Looking for a beautiful, stress-free roofing, siding or window renovation? Call us. We hold an A+ rating on Angie's List and the BBB because we deliver the best work and service in the area and we don't accept any payment until our work is complete. Then we back each project with a full 10-year workmanship warranty. Plus we offer financing. That's why we're the top choice of selective RI and MA homeowners. Why settle for less? Marshall Building & Remodeling is a family-owned company specializing in roofing, siding, windows, and decks, throughout RI and Southeastern MA. Over 75% of our business comes from repeat customers and referrals. Many are the children and grandchildren of our original customers, like RI’s radio talent Matt Allen, heard on our website. Bottom line, our customers say they got more with Marshall Building & Remodeling - more beauty, more peace of mind, and more for their money. Whether you’re building a new Wellesley home, remodeling an old one or just replacing a few windows that are past their prime, your window dealer in Wellesley, MA will help you pick the right windows for your needs, home style and budget. Windows come in so many sizes and types that expert advice and direction is invaluable in helping you make the best decision. These pros can also help you with custom window designs that complement your space better than something ready-made. Lastly, if you are interested in doors with windows, these experts are also knowledgeable about sliding doors, French doors and other paned portals. Find a window dealer on Houzz. Narrow your search in the Professionals section of the website to Wellesley, MA window dealers. You can also look through Wellesley, MA photos to find examples of windows that you like, then contact the window professional who worked on them.